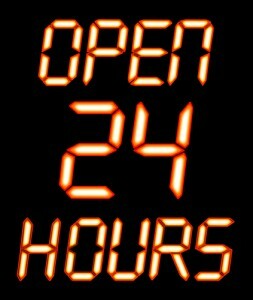 A digital OPEN 24 HOURS sign with orange glow for use as a store sign or design element. Photo courtesy of Shutterstock. 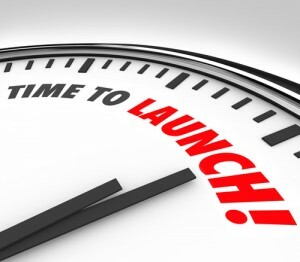 Time to launch words clock start new business company. Photo courtesy of Shutterstock. College students who work in jobs as entrepreneurs and are looking for ways to improve their businesses should think about applying these seven ideas in the following post. While some employers might prefer their employees not using social media on their entry level jobs, there are some benefits to them doing so. Learn more in the following post. Smiling female intern holding a laptop outdoors. Photo courtesy of Shutterstock.